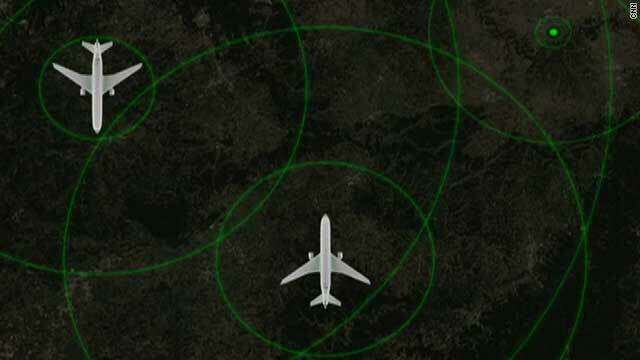 Farnborough, England (CNN) -- Global Positioning Systems (GPS) may already guide millions of cars around the world, but airplanes are still guided by a 70-year-old radar technology. That is changing in the United States where engineering firm ITT is building out a GPS-based system as part of a larger "NextGen" system to vastly upgrade the country's air traffic control systems. The U.S. Federal Aviation Administration (FAA), which awarded the contract to ITT back in 2007, says the new GPS system will be nearly 10 times more accurate than radar. It will allow controllers to have much better idea of where all planes are and allow pilots to know where other planes are. "There are numerous benefits to go to a GPS-based system, including savings of fuel, less carbon-dioxide emissions and better-controlled ascents and descents," ITT Senior V.P. David Melcher told CNN at the Farnborough Air show outside London. "The pilots will actually have better situation awareness in the cabin, they'll have more air traffic information and climate information," he added. The disappearance of Air France Flight 477 and its 228 passengers over the Atlantic Ocean in 2009 led critics of radar-based air traffic control to call for a move to GPS-based networks that can precisely track all planes. With the current air traffic system, controllers cannot see a plane flying over an ocean on radar until it is within about 200 miles of land. Controllers often have to estimate a plane's location based on flight plans and departure times. Experts argue that this estimation can make planes vulnerable if they have to land in an emergency. The infrastructure for the new GPS tracking will be in place by early 2012 says ITT but it will take much of the rest of the decade to fully implement the entire system into each and every airplane, large and small. "The roll-out of the system and the capability which ITT Corporation is responsible for will occur between now and early 2012," Melcher said. By 2020, aircraft will be able to fly closer together and the system is tasked with cut down on delays. Currently some planes have to fly longer, more meandering routes across the U.S. to be seen on tracking beacons. In all this, GPS is expected to save airlines a great deal of fuel. The FAA says "NextGen" is expected to reduce total flight delays by about 21 percent by 2018 while providing $22 billion in cumulative benefits to the traveling public, aircraft operators and the FAA. In the process, more than 1.4 billion gallons of fuel will be saved during this period, cutting carbon dioxide emissions by nearly 14 million tons. It has not been easy. There are still questions about how much airlines should contribute to the huge cost and some people who say the introduction of GPS should not be seen as a cure all for the industry's congestion problems. Still, there is progress on a global system. Europe has its own system, and recently struck a deal with U.S. authorities so the two systems will work together. After that, ITT is looking for ways to allow systems already being built or planned to talk to each other.